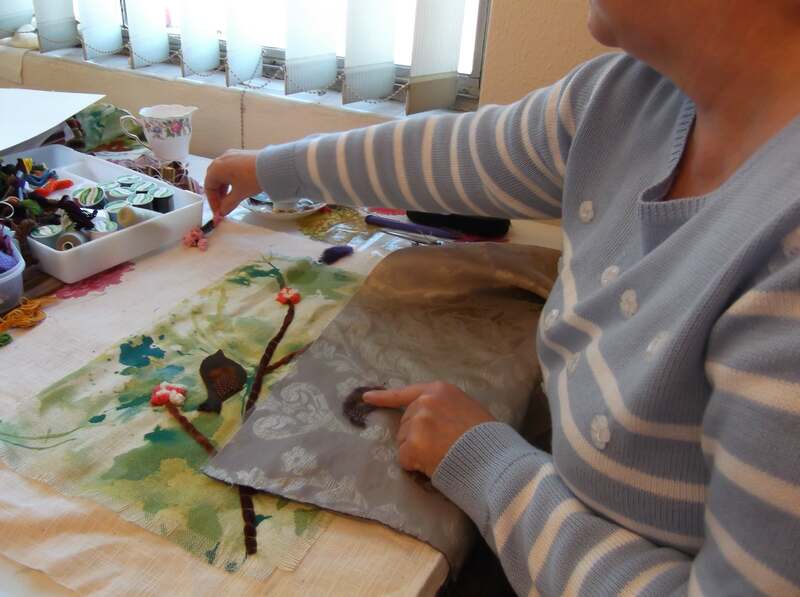 I love fabric, its tactile, versatile, you can do almost anything with it, shape it, mould it, sew it, whatever. I am so very fortunate to have a fantastic array of different fabrics, different weights, different colours, from fabulous silks to gorgeous upholstery fabrics , braids, ribbons, buttons, cottons. With these our creative textiles workshop is unique. 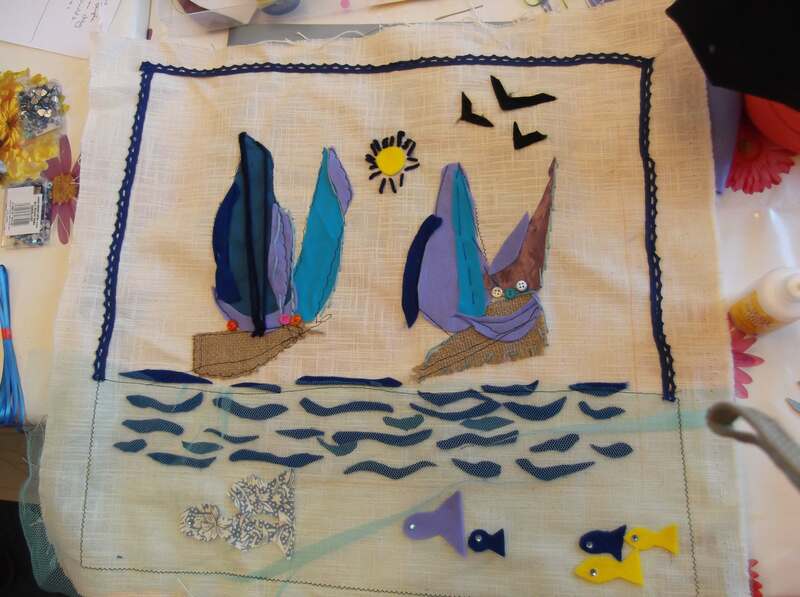 What can you do with ‘creative textiles’ I am often asked this, well pictures, wall hangings, cushions, bedspreads whatever you like really. The workshop we did recently was interesting in that one lady said she had the sewing skills but lacked creativity. Up until that point I would probably have ‘themed’ the workshop but I decided that to get creative you needed to be stimulated and therefore a blank canvas was the starting point, and lots of pictures, magazines, cards with different themes on them, and a wall hanging which was done earlier created by 15 people who had never done anything like this before, each tackled their ‘square’ in a different way and all very colourful, lively and effective. One little square with birds on it, started the theme off for our lady and was developed from there. Another saw an impressionist painting of boats, this sparked her imagination. 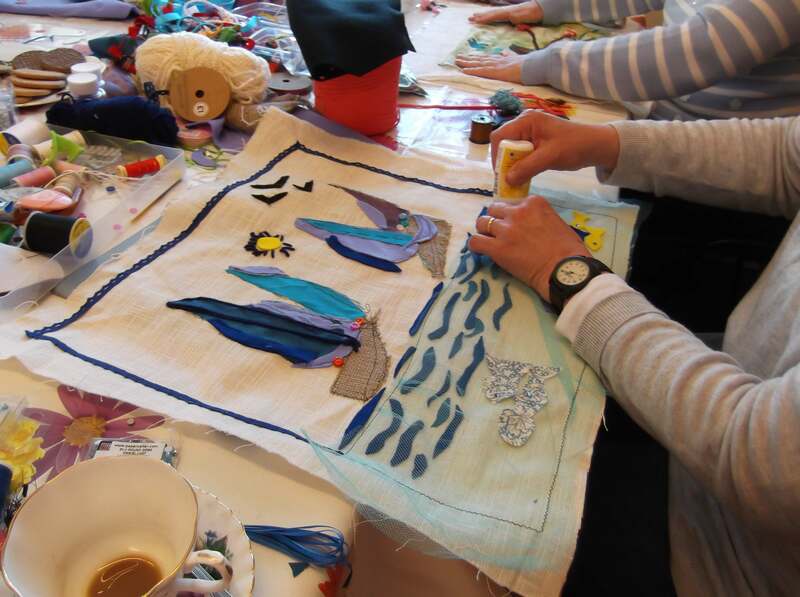 They delved into the boxes of fabric to find scraps to develop their themes with, each had a piece of beige cotton/linen (curtain weight) to develop their pictures. Hand sewing with silks, cottons and wool, and machining with different stitches with a little help and nurturing, the creations were developed. 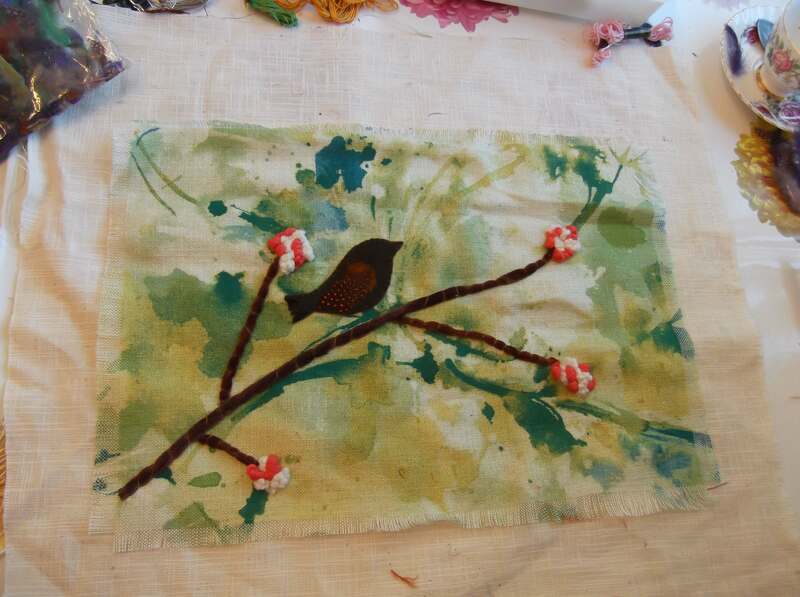 The final results were great, one was made into a wall hanging and put on the bathroom wall, the other was to be stretched onto canvas to create a picture.